This Ultimate Security Package will get you hired and promoted quickly in the State of Connecticut! 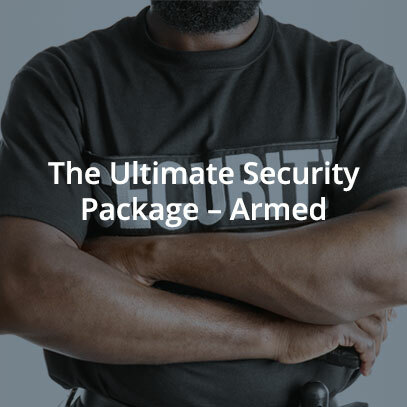 The Armed Ultimate Security Package includes all 8 of our unarmed security classes, plus our pistol permit class and our Blue Card class – a total value of $1200+. 2) prepay 2 equal payments of $400. Once it is all paid off you can choose your classes and begin attending!!! Take advantage of our offer for discount classes. When you buy classes in bulk we will give you a percentage off, so the more you want to learn – the more you will be rewarded! Purchase a couple for yourself and give a few classes to a loved one. After purchasing this package, go to the courses list and select your desired courses. After the courses are selected, then email the owner ljbsectraining-consulting@yahoo.com. If you want the ones you care about to learn self defense and security, this is the perfect opportunity at a discounted rate. Learn these classes and refuse to be the victim. By having a knowledge of self defense, you will have all of the tools you need to have your own safety strategy when faced with a dangerous situation. In addition, you will be much more prepared for a career in law enforcement if that is your intent. ***NOTE IF YOU HAVE ALREADY TAKEN A CLASS FROM ME THEN I WILL CREDIT YOU $100 TOWARDS THIS PACKAGE!! !